Since the publication of Charles Darwin’s seminal book On the Origin of Species in 1859, biologists have been looking back through the evolutionary chain to figure out what early life forms all species are descended from. From the mid-20th century, great advances in molecular biology have allowed us to determine what the earliest single-celled organisms were like, but how these life forms developed - the origin of life itself - is still largely a mystery. for all known living organisms. There are many questions yet to be answered about the origin of life. What were the first self-replicating components - DNA, RNA or something else entirely? What materials and conditions on the early Earth were present to build these components? And why is it that these and the other building blocks of life are all homochiral - that is, why are their molecules all structured in the same way, and not a mixture of the different ways possible? To understand homochirality, we first need to look at the most basic building blocks that make up all lifeforms. The body of any living creature is made up of molecules – groups of atoms bonded together in a useful way. 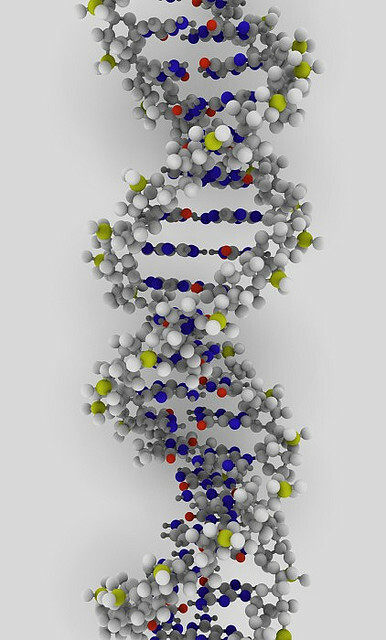 These range from the very small, such as water made from only three atoms, to the very large, such as the DNA strands that make up our genetic code. Many of the big molecules in living creatures are made of smaller units joined together: starch, a carbohydrate found in food, is made from the sugar glucose, and proteins are made up of many different amino acids. Molecules that have the same number and type of atoms but joined together in different ways are called “isomers” of each other. For example, depending on how the atoms are arranged, the C3H6O (that is, 3 carbon, 6 hydrogen and one oxygen atom) could be acetone, found in nail varnish remover, or methyl vinyl ether, used to make plastic, or also allyl alcohol used to make glycerol, which is found in many medicines and foodstuffs. Isomers have the same chemical formula, but different layout of the constituent atoms. Starting 2013 with a bang, we continue our armageddon series about the science behind the end of the world. 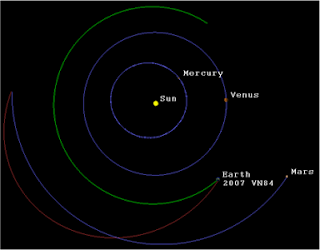 On 8 November 2007, the Minor Planet Center issued a routine "Minor Planet Electronic Circular", reporting on observations of a newly discovered object, designated 2007 VN84 - some 4 million km from the Earth. It was heading towards us at a speed of 45,000 km/h - over 12 km every second. It was set to pass within 5,300km of Earth just five days later. Obviously, 2007 VN84 didn't hit the Earth, and nobody was hurt. But how bad would it have been if it had? Well, it's unlikely anybody would have been hurt, but it certainly would have been embarrassing. This was no space rock, but a spacecraft, carefully being flown past the Earth by the European Space Agency to change its orbit - in exactly the same way they'd done at Mars, several months earlier (and at the Earth, before that). 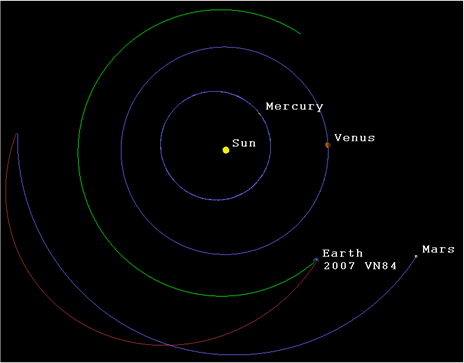 2007 VN84 was more commonly known as Rosetta. But what if this had been a real asteroid, heading towards us? Five days is not a lot of notice, though Rosetta is only quite small. A larger asteroid would (hopefully) be spotted sooner. Most people have heard the theory that dinosaurs were wiped out by an asteroid, but is the Earth endangered by a similar collision? Essentially, we need to ask three questions: "How bad is being hit by an asteroid? ", "Is it likely to happen?" and "How much warning would we have?". As it turns out, these questions are very closely connected.